Smart Energy is a cost-effective, data-driven approach that supports diverse needs of today’s energy market. Whatever your goal is - revenue, energy efficiency, customer engagement, demand management - we provide the right solutions. Our Smart Energy Solution consists of hardware and software infrastructure. By combining devices mounted in the consumers’ apartment with software that enables energy forecast, customer segmentation, and detection of particular devices in the network, we provide new business opportunities for utility companies. Energy Disaggregation technology is unique to our Smart Energy Solution. Also known as nonintrusive load monitoring (NILM), it can take a whole building (aggregate) energy signal, and separate it into appliance specific data. What does it mean for energy providers? With Smart Energy Solution comes revolutionary demand side management and energy forecast. Our Smart Energy Solution gives utility companies a possibility to manage peak load by encouraging consumers to use less energy during peak hours, or to move energy use to off-peak times such as nighttime and weekends. From now minimizing capital expenditure is possible thanks to benefiting end users who manage their demand. Smart Energy Solution is the key to customer engagement. Our user friendly mobile application comes with features such as smart home control, visualisation of energy usage, tailored tips, insights and recommendations. By providing rich and interactive experience you can increase customer satisfaction and build brand loyalty. What does it mean for energy consumers? By delivering innovative IoT and digital solutions we change the way how energy is perceived. 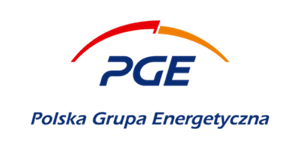 Since August 2017 along with the biggest polish energy provider - PGE, we’ve been working on a project known as “Włącz się na Przyszłość”. The main objective of the program is to test the new model of energy delivery, communication personalization and supporting consuments’ engagement and energy awareness. The project is assumed to be the first step in the direction of executing the strategic program covering “Digital Transformation”. The broader vision is digitalization of all of the operator’s products and services. Acting on consortium agreement with Orange Poland, we found ourselves among the victorious group of companies, which have received funding from The National Centre for Research and Development. The solution we provided was dedicated for Orange Energy clients - small and medium-sized enterprises. The novelty of it is based on the implementation of artificial intelligence algorithms for energy audits as well as development of new type of communication protocol. The research-development project regarding Integrated Energy Efficiency Management System, has received more than 4,5 million PLN of co-funding.